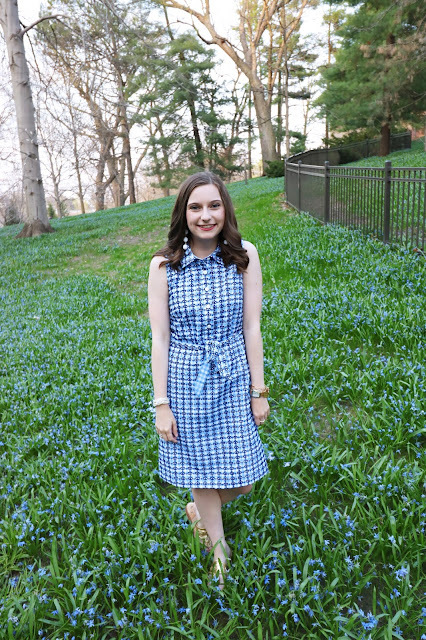 Here is another OOTD featuring stripes! 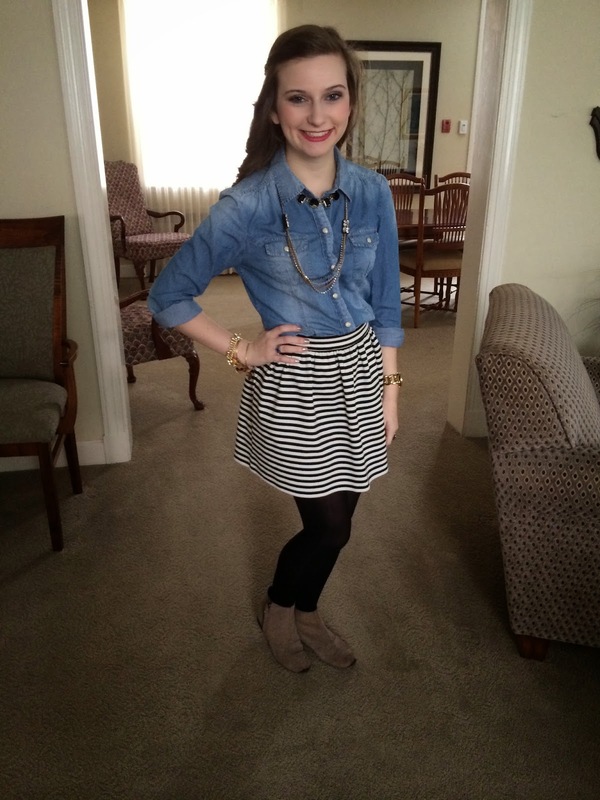 I paired this striped skirt with a simple denim button and some black tights. 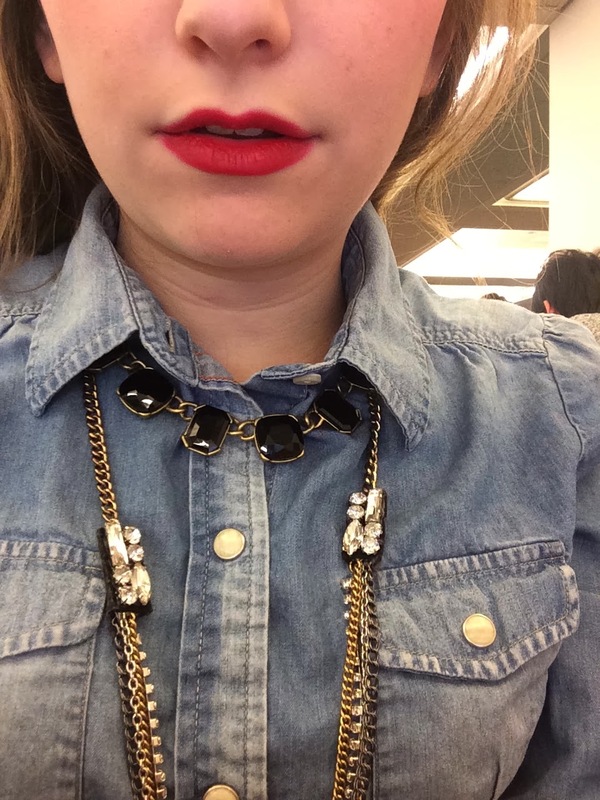 To spice up the look I wore a bold red lip and layered two necklaces. For shoes I wore a pair of suede ankle booties. Overall this look was super fun and simple.